Home prices go up. New faces start showing up around the neighborhood. The new bar only serves craft beer and vegan tapas. 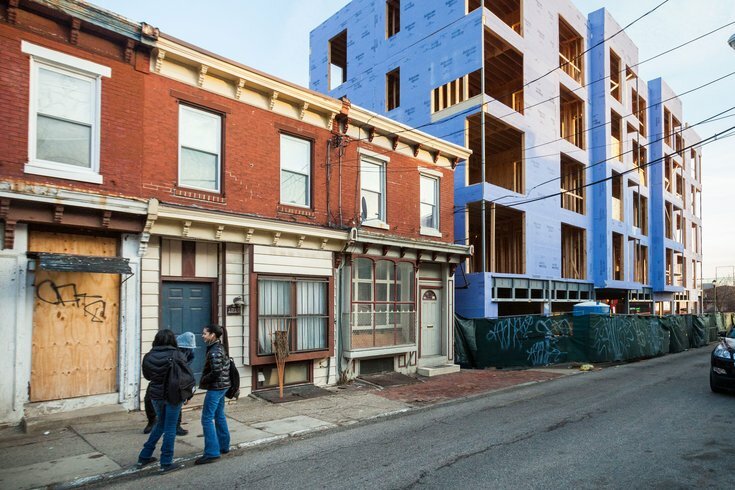 These could all be signs of gentrification, a topic that has caused much angst among young Philadelphians who wonder whether or not they should feel guilty about it. When more affluent people move into a neighborhood and home prices go up, are they displacing poor residents? A new study from the Federal Reserve Bank of Philadelphia says no – at least, not directly. “Many people would associate gentrification with displacement, but we found that more vulnerable residents are no more likely to move" than similar residents in non-gentrifying neighborhoods, said study author Lei Ding. Poorer residents were less likely to move into a gentrifying neighborhood because of rising costs, however. In other words, while gentrification doesn’t kick poor people out of neighborhoods, it may prevent them from moving in. “As these neighborhoods get more and more expensive, it changes who can move into the neighborhoods,” said co-author Eileen Divringi. Being the 12th most-gentrified city in the nation, according to a governing.com report, Philadelphia was an ideal city in which to study this phenomenon. Researchers gathered a random, anonymous sample of credit score records of Philadelphia residents from 2002 to 2014. This data allowed them to track where people moved and how their overall financial health changed over time. A neighborhood was considered “gentrified” if average household income was below the city’s median level in 2000 and if it saw a large rise in rents, home values and the share of residents with college degrees. As it turns out, living in a gentrified neighborhood was actually good for a resident’s credit – their scores went up by an average of 11 points. Residents with high credit scores saw larger benefits than those with low scores or no score at all. "We would expect there might be some positive changes in the neighborhoods,” said Ding. For example, the average poverty rate in gentrifying neighborhoods declined 4.3 percent. More business opportunities and access to credit might be one reason why residents saw their financial scores improve. But it’s also possible that residents who stayed in these neighborhoods had more of a financial safety net to begin with. And when vulnerable residents did leave gentrifying neighborhoods, they faced trouble. These residents, if they did move, were more likely to move to areas with higher crimes rates, lower incomes and worse schools. "We did find pretty significant differences in where movers in different categories of economic advantage or disadvantage were moving to when they left gentrifying neighborhoods," Divringi said. Gentrification has a racial aspect as well, with the number of non-Hispanic white residents in such neighborhoods increasing by 23 percent on average. Arguments over gentrification won’t end anytime soon, and the Fed’s report only highlights the complexity of the issue.